I was in Malacca recently for a holiday and was pleasantly surprised by the exhibition on Malacca by various artists, featuring work both in oil, watercolour and Chinese paintings. 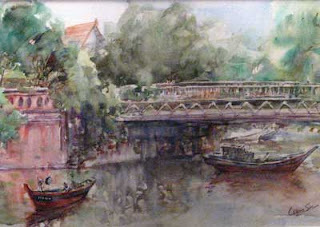 This exhibition, held at the Bastion House, which is beside the Formosa, was held to commemorate the 50th Merdeka. The exhibition was supposed to end on Aug 18 but was extended for obvious reasons. 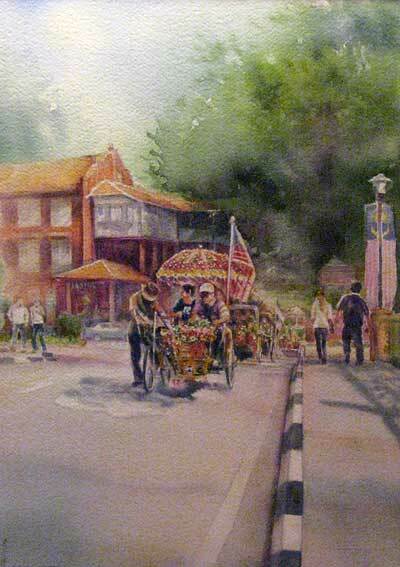 There were quite a number of interesting watercolour works, participated by various artists - both who were born in Malacca as well as those from other states. What interested me most were the watercolour works, priced from RM300 to over RM1,000. Some were quite good, others so-so. A chat with the person put in charge of the show revealed a sad response. There were some buyers. However, I did not see the number red spots - an indication that a painting has been reserved or purchased. What happened? I asked the chap. I was told that although there were lots of visitors, most of them were only browsers - interested to look, but not to purchase. What could be wrong? 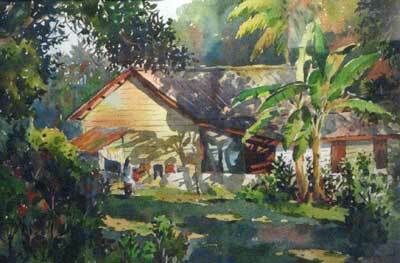 Some of the watercolour works are a bargain - going from as low as RM300. Of course, the oils are also not cheap. Some went for RM6,000 and some were really good, although quite a few were seemingly ambitious in the pricing. Perhaps the market in Malacca is not ready. I don't know. Maybe purchasing power for art is low? Who knows.